Although Cornwall is blessed with better weather than the rest of the UK, with a much milder climate, the sun doesn’t always shine. But a bit of drizzle shouldn’t dampen your spirits while on holiday to this beautiful part of the country, and we know just how you can still make the most of the rainy days! We have put together some activities to entertain everyone when the skies turn grey. 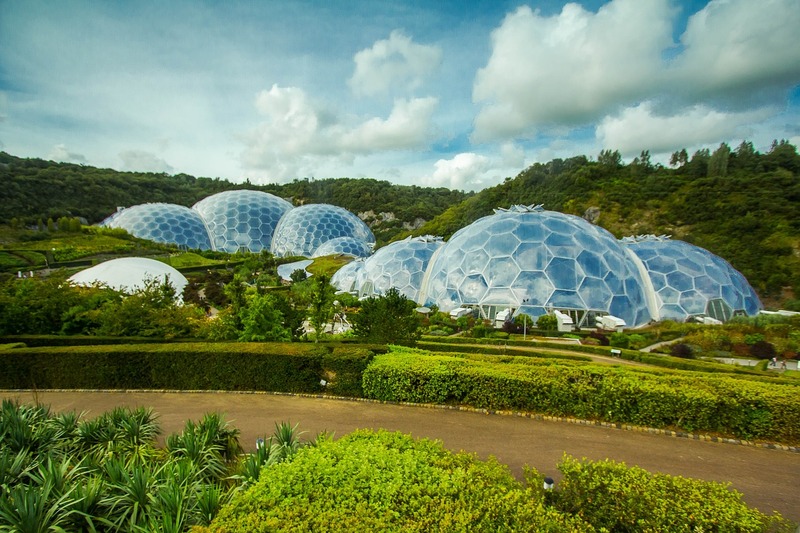 The Eden Project should be on your list of things to do in Cornwall, and though every other tourist will have the same idea to head to the Project when it rains, it is still amazing to visit. An all-weather attraction, wandering around the rainforest biome may be better when the weather is colder outside! The famous attraction has some of the biggest greenhouses in the world, and the whole family will love to discover the various plants and natural beauty here. If the sun does come out, there are also outdoor gardens to explore, in addition to the rainforest and Mediterranean biomes. In the school holidays, there are also several events held at the Eden Project, providing educational fun for the children. Just a short drive from our 5-star cottages in Cornwall is the National Maritime Museum in Falmouth. Situated on the picturesque harbour, the museum celebrates the sea, boats and Cornwall Maritime. The museum has won many awards for its stunning exhibitions, with the current exhibition ‘Titanic Stories’ drawing in visitors to see the collection of objects, stories and art pieces coming from the sinking of the Titanic. 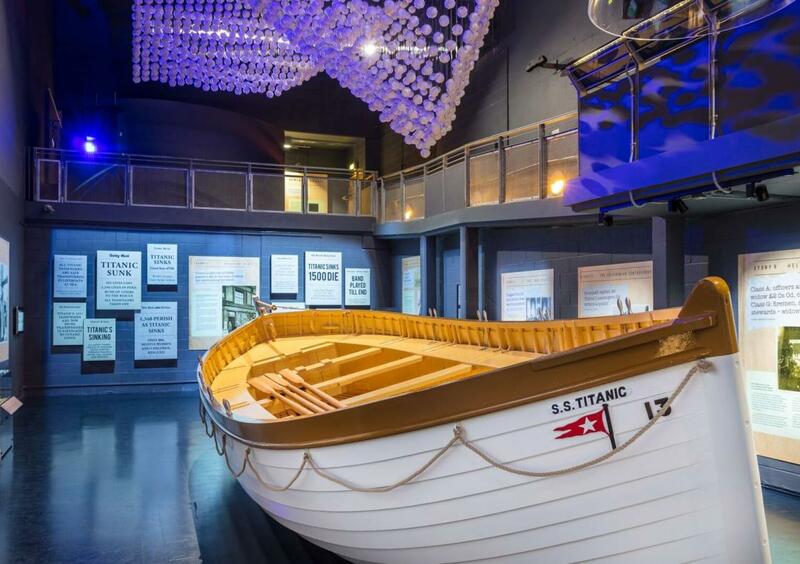 There is something for all ages at the National Maritime Museum, and with the boat collection, Cornish Maritime collection and much more, you can easily spend a day there without ever having to step out into the rain! If the rain has made it impossible for a day at the beach, head to a leisure pool instead! Waterworld at Newquay has a 25-metre pool for those wanting a leisurely swim and a tropical fun pool with waterfalls, two water flumes, baby slides and floats. This leisure pool is the ideal place for the family to head to for a fun day indoors and away from the rain. 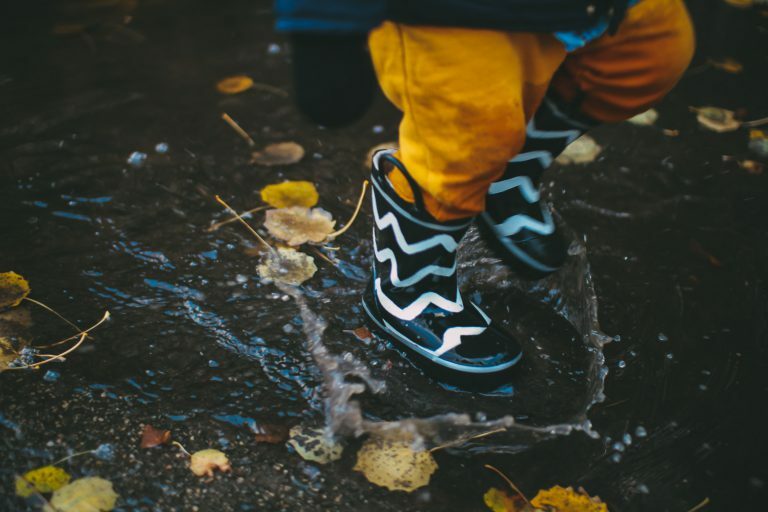 Paradise Park’s Jungle Barn is fabulous fun whatever the weather, and when the rain is forcing you indoors, it is great to have a play area out of the rain. 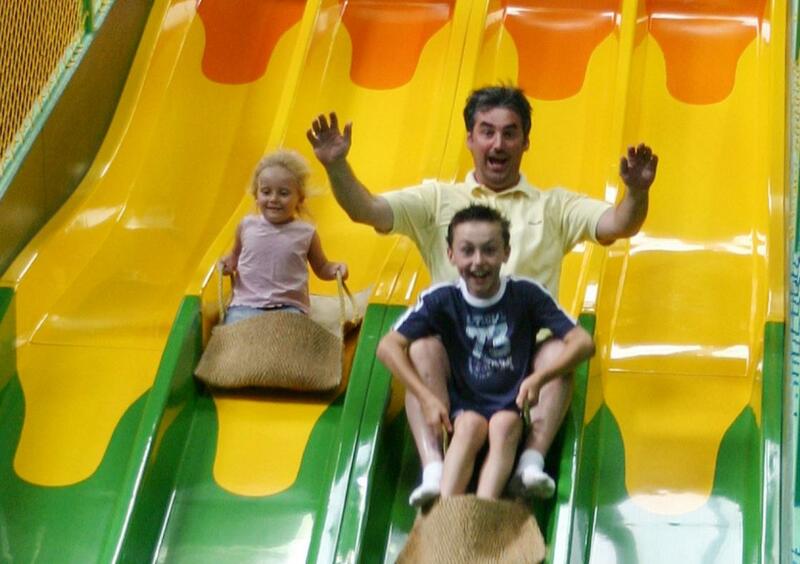 There are giant slides, challenging soft play on several levels and a toddlers’ zone, providing endless fun that will make you want to stay all day! There is also a snack bar to keep you and your kids fuelled for the crazy amount of activities you can do – you might need a sugar boost after the drop slides! Then, if the weather decides to let off the rain, the animals in the park are wonderful to see, everything from red pandas to tropical parrots. Jump4 in Redruth offers up a popular place to go for a rainy-day activity. Pure entertainment, the trampoline park features 66 interconnecting trampolines, with angled wall trampolines, launching decks and foam pits. If you want to get competitive, there is also a dodgeball court and battle beams! Suitable for all age groups, there are several activities available to keep your family busy for a few hours. What’s more, Jump4 also gives you a full body workout, so there is no slacking on your exercise during the holiday! Another Newquay attraction is the Blue Reef Aquarium, with over 40 naturally themed habitats full of fish and sea creatures. You can come face to face with turtles, jellyfish and octopus! 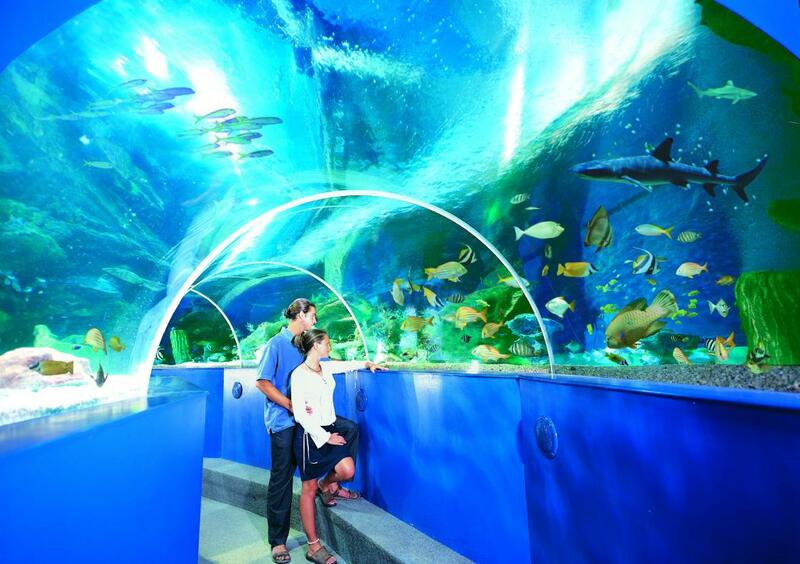 At the centre of the aquarium is the underwater tunnel, giving you fantastic views of reef sharks and colourful tropical fish. Throughout the day, you can see the various creatures being fed, from sharks to turtles, and get up close and personal to crabs and starfish at the rockpool encounters. These places are all great attractions to spend time at, come rain or shine, so which are you most looking forward to experiencing? !